UPI (Unified Payments Interface) application is a payment system that allows you to transfer money between any two parties. UPI Application allows customer to instantly transfer money to someone else using the IMPS payment framework, without having to know their bank account number or IFSC code. All you need is their virtual identity, which could be xxxx@unionbank (just as an example), or xxxx@uboi (just replace 1234567890 with your phone number here). No need to remember or share account details. Send Money using Virtual id, Account No or Aadhaar number. Add multiple bank Account in same application. Union Bank UPI app is available only for Android devices. In case you are using a dual sim handset then, application will ask you to select your sim which is registered with your bank. On successful verification create your profile. Go to Add Account option. Select bank name from the list of available banks. If same mobile number is registered in the selected bank, then you will be able to see your account/s opened with the bank. Select account which you want to link and create Virtual id for the account (which you can share with others to receive funds). After linking the account you need to set/register pin for the selected account for using it for UPI. Go to Set Mpin option and select your account for which you want to set the pin. Enter OTP, which you will receive on your number. Set PIN and confirm PIN. Enter last 6 digits of your debit card linked with the account and expiry date. On successful verification you will receive "PIN Created successfully" Message. Now input beneficiaries virtual address and amount, if you want to register the beneficiary you can do the same through participant option. Now submit and verify the details after putting your PIN number. You can check the transaction status through "Txn Status" menu. Got to "Collect" option and select your account. Enter the virtual address details of the customer from whom you want to collect the money. Now submit and verify the details. You will receive notification/SMS from the bank once your transactions get approved. -UPI (Unified Payments Interface) is a payment system that allows you to transfer money between any two parties. -Visit Google Play store from android device and search for Union bank UPI App. Click on Install and accept the permissions. What do I need to start using UPI Application? -All you need is a smart phone with data connectivity and a bank account linked to your mobile number. Which devices will UPI Application be compatible with? -The UPI app will be compatible with Android phones running Android 4.0 or above. It will be available at a later date for iOS and Windows phones. Can I use UPI App outside India? -The UPI app is only available in India, for Indian mobile numbers at this time. I have an account with xyz bank, will Union bank UPI APP work for me? -UPI works for all member banks that are on the UPI platform. Is it mandatory to have same mobile with bank? -Yes same mobile number should be linked with bank, which you want to add in UPI application. What Virtual Id, it is mandatory to create? -Virtual id is a unique id created for your account, you can send and receive money using this virtual id. Can I transfer without adding any beneficiary? -Yes, you can transfer money using virtual id or Account number and IFSC without adding the beneficiary. -Login to application, go to Participates and click on "+" sign to beneficiaries. How to generate the PIN? -Go to Set PIN option, select the account for which you want to SET the PIN. Input Debit card details, OTP and new PIN. If all details are correct you will get PIN set successful message. Is debit card is mandatory for SET PIN? -Yes, Debit card is mandatory to SET the PIN. Can I SET the PIN for other bank account as well? -Yes, but debit card details are mandatory. Do I need to SET PIN for all account linked with UPI app for doing transactions? -Yes, you need to do the SET PIN for each and every account, from which you want to do the transaction. What if my transaction is not credited to beneficiary? 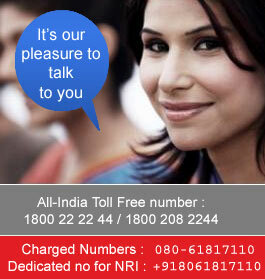 -Go to "Txn Status", select your transaction by giving the date range and log your complaint. You will receive one complaint reference number. Your complaint will be resolved within T+2 working days. How to check Transaction Status? -Go to "Complaint Status" and select your complaint Reference number to check the status of the complaint. -Kind of, except it's far more well defined and standardized across banks, which means you can initiate a bank account transfer from anywhere with a few clicks. How fast is a transaction over UPI App? -UPI works on the IMPS platform which is an instant fund transfer system. Thus all transactions complete instantly on Union Bank UPI App. -Immediate Payment Service (IMPS) is one of the electronic funds transfer systems in India started by the National Payments Corporation of India (NPCI). 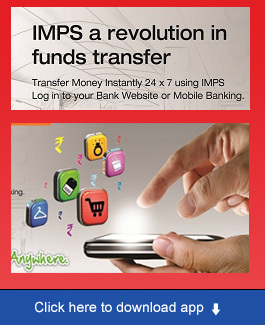 It offers instant, 24X7, interbank electronic fund transfer service through mobiles, Internet and ATM. Can I create multiple virtual ids for same account? -Yes, you can create multiple virtual ids for same account. What is Time/ Amount bound limit in "VIRTUAL ADDRESS CREATIONâ€? -If you want to use virtual id to receive money upto a specific limit and for a specific period then you can select the same. I have deleted the virtual id, can I reuse it? -No, once deleted same cannot be re-used. What are the charges for using UPI App? -UPI App is a free service for its customers.